This week the Stampendous Design Team is sharing projects made with the new Meadow Edgers Die Set. 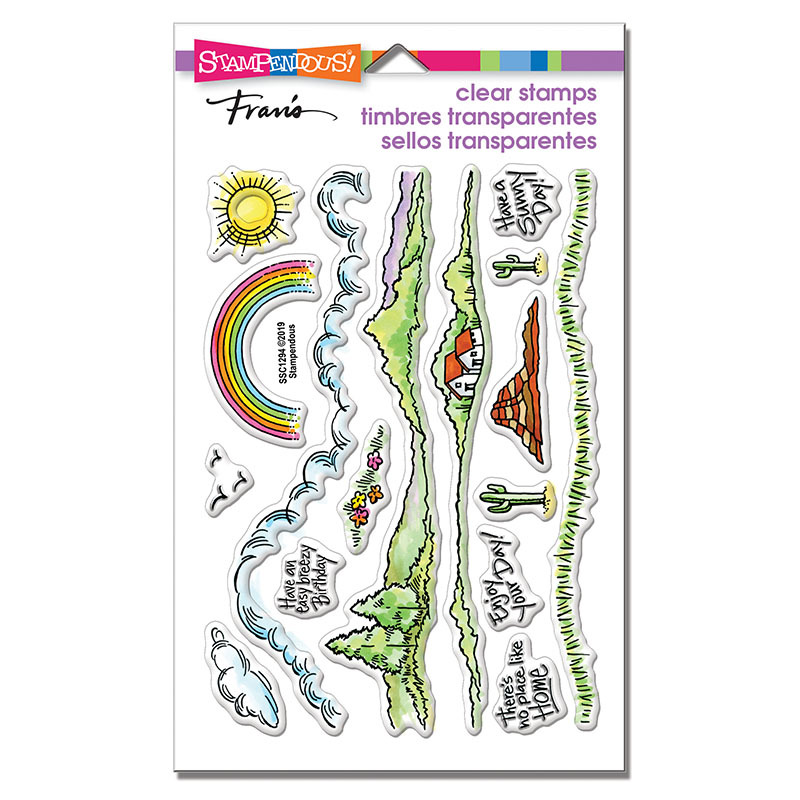 With this set, you can make a variety of sky backgrounds and landscapes very easily. 1. Stamp images from the Kitty Girl Cling Set, color with colored pencils and die cut using the matching Kitty Girl Die Set. Set aside. 2. 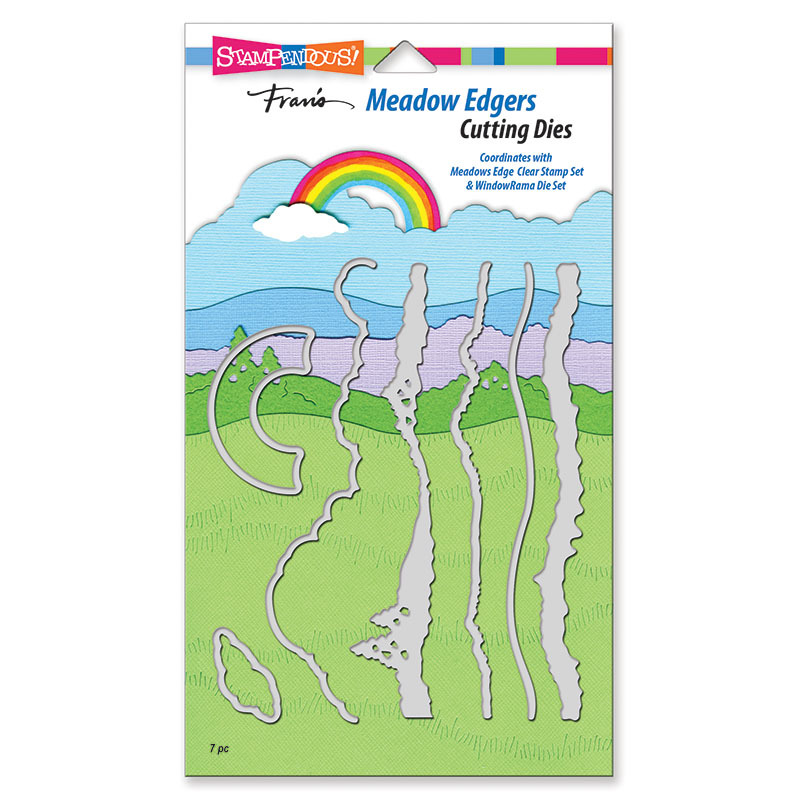 Use the Meadow Edgers Die Set to die cut the green grass, blue sky, and white clouds. 3. Use the Meadows Edge Perfectly Clear Set to stamp the grass in green. 4. Glue all of the pieces to a white cardstock panel but pop up the balloon with a foam square. 5. 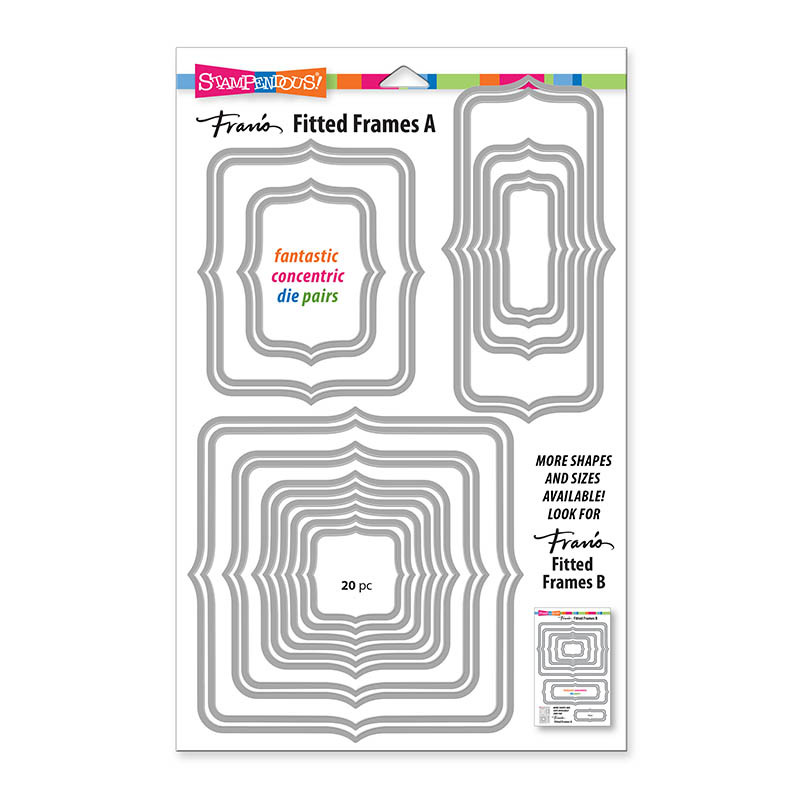 The sentiment was was die cut using the Fitted Frames A set. Definitely a sweet carefree card! Another darling card! That little girl is soooo cute! What a fun scene! I want to be there! Oh my goodness! So cute! Loving these new stamps and dies! So very sweet! Always enjoy your cute designs. 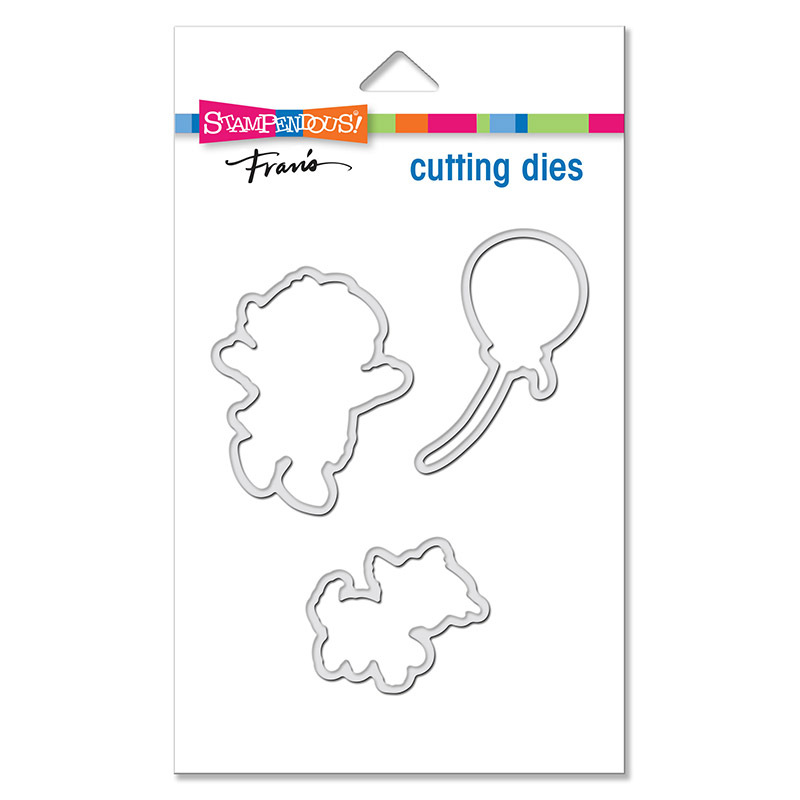 Well this just went on my wish list, I love the dies and the stamps are too perfect for any card! Your card is so cute. Love the sweet scene. Wonferful, cute scene! Great coloring! Thanks for sharing! Sweet scene! Love that cute kitty! 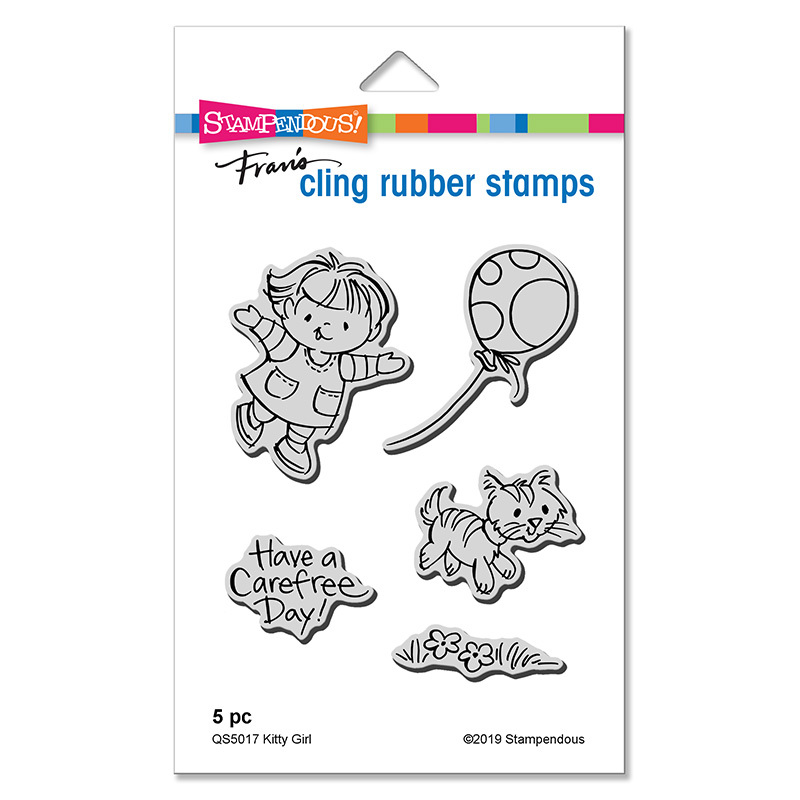 The stamps and dies are fabulous! What is cuter than a girl with her kitty!? LOVE this! What a sweet kitty. I like your scene. The little girl & kitty are precious. Love the kite-fun card. So sweet! Love the kitty! How cool are those new Meadow Edgers?! !